The Ebricks.com Woodworking Tools guide offers information about companies such as Professional Tool Mfg., LLC and Cyber Woodworking Depot. Sharpening machines for drills, chisels, planes and other woodworking tools are the main products of Professional Tool Manufacturing. Signature lines include Drill Doctor and Work Sharp. Woodcraft's website list more than 8,000 woodworking tools and supplies. Don't want to buy through the Web? The company also operates about 80 retail stores nationally - and you also can order free copies of its catalogs through its website. This online retailer offers a large selection of nailers, staplers, fasteners, and screw fastening systems. Major brands include Paslode, Senco, Bostitch, and Duo-fast. Based in Warren, Maine, Lie-Nelson has crafted a worldwide reputation by making heirloom quality woodworking hand tools, such as chisels, planes, spokeshaves and rasps. 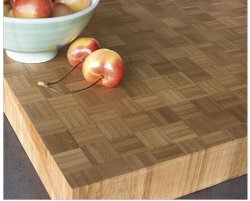 Bamboo as an alternative to hardwood butcher block. 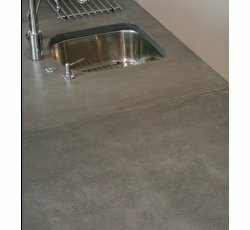 Recycled paper and glass form a durable countertop.